All the crypto coin faucets and airdrops listed are absolutely free for anyone to use! Claim Free BTC, LTC, DASH, BCH, WAVES + Other Crypto Coins From The Faucets Below! New airdrops and faucets are added often. Save, bookmark, or share this page and come back later! Dont have a wallet address to claim all the free coins? 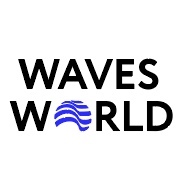 To receive WAVES Tokens you need a WAVES wallet (No Exchange).